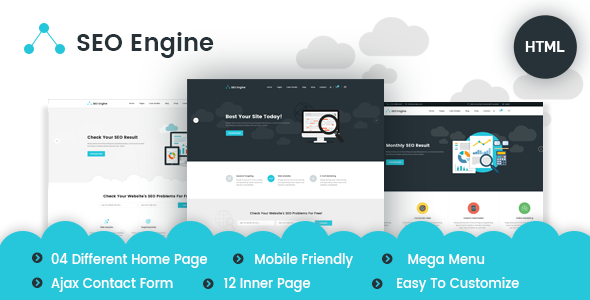 SEOEngine is a clean and modern HTML5 Template for all kinds of SEO, Digital marketing and Web Agency Company. It is perfect for any kind Web and corporate business company like SEO Service, Digital Marketing, Email Marketing, Web Service provider, Software Development company and mobile application development company etc. It is easy to use. SEOEngine template comes with necessary features and pages for SEO and Digital Marketing agency. Keep the ball rolling you have done the great job here seo services packages. This is extremely Amazing and Very Informative Site we get alot of Informations from this site we truly value your cooperation keep it up and continue writting such enlightening article.